I wouldn't get upset over this; in fact, I almost didn't link to it. The piece is pure clickbait, and is intended to inflame readers. We can see that when we view the Pratchett pace in the context of what else The Guardian published today, and we can see that when we look back at Jones' past articles. I have been a Doctor Who nerd since I was about eight. It was always an obsession. I started watching just at the end of John Pertwee’s reign. “My” Doctor was the great Tom Baker. 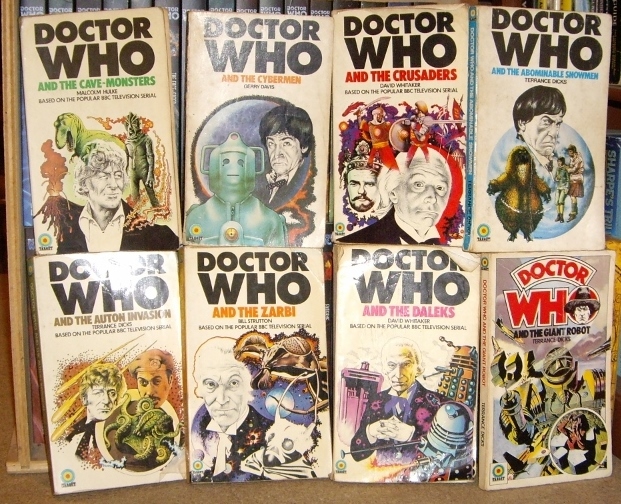 But I was fascinated by the full story of the Time Lord and the only way to know more of that, in a pre-video world, was by reading the excellent Target novelisations that were published in the 1970s. Some of my most intense Doctor Who experiences involved reading, not watching. When I have since watched DVDs or downloads of classic adventures such as The Green Death, it’s strange to compare the actual programme with my own visualisations of the books. So the same guy who gushes about how he loves Doctor Who also thinks that Terry Pratchett isn't worth reading? It does not matter to me if Tewwy Pwatchett’s final novel is a worthy epitaph aw not, aw if he wanted it to be pulped by a steamwoller. I have never wead a single one of his books and I never plan to. Life’s too short.